Don't get carried away by the name. 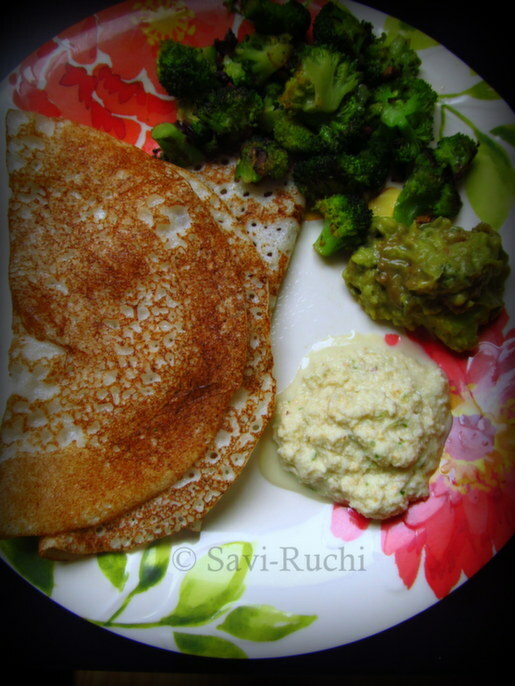 You do not need bread to prepare this dosa..
Soak the poha in sour curd for about 30 mins to 1 hour. Grind the rice, fenugreek seeds & poha along with the curd to form a smooth batter. Ferment the batter for 8 hours. Add salt just before preparing the dosas. Prepare the dosas & have it with a chutney of your choice! 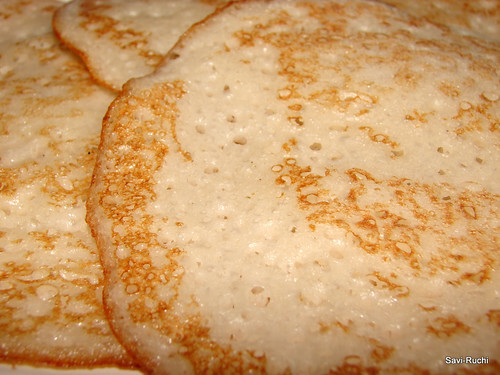 Dosa will not become crisp with this batter. It will become unusually soft & tastes different. 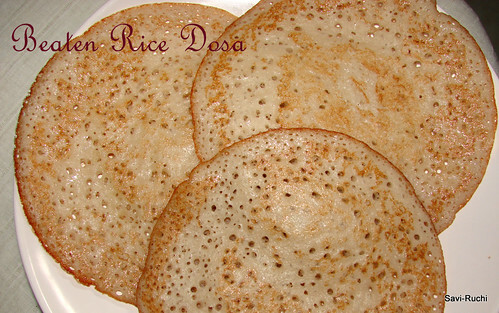 Prepare the dosa a little thicker than the normal dosa (similar to set dosas). 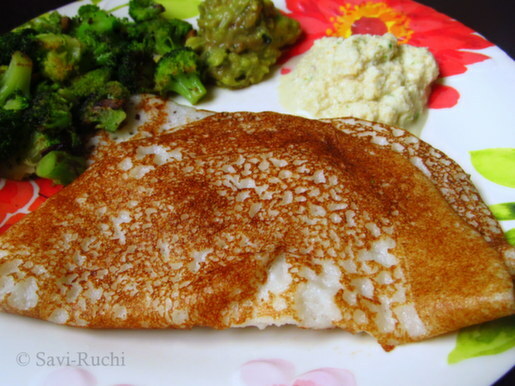 You could use sona masoori rice, ponni rice, idli/dosai rice or raw rice for this dosa. 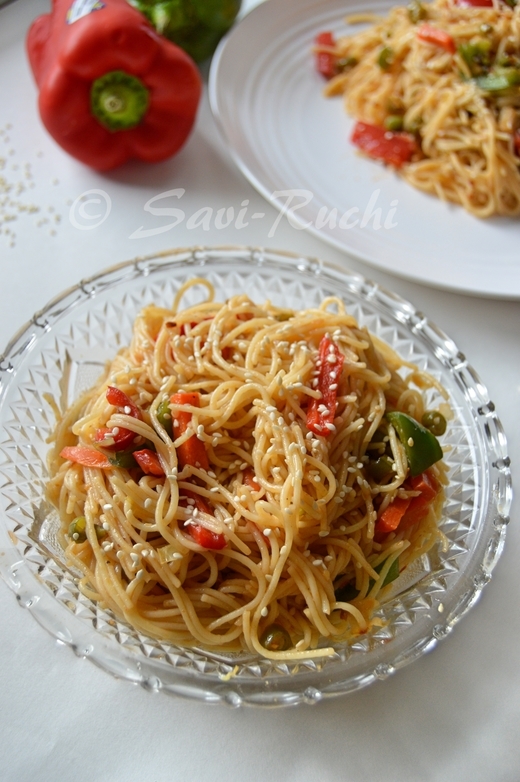 It tastes great with all the above mentioned rice varieties. I haven't tried it with basmati rice or jasmine rice. I must say the fragrance of these dosas are aaahhh..taste is yumm. Recently found this on other blog and made it at home, we just fell in love with it. nimma mathige nanna samproona sammati ide.., taste adbhutha ee dosa du. mallige idli (soft idlis) & tomato chutney! !